1. Primary Shapes Template Set, 2. Geometric Stencils, 3. 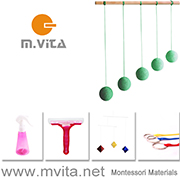 Montessori Shapes (a plastic version of the Montessori Metal Insets), 4. Child's First Stencil Set, 5. Animal Shapes Puzzles, 6. Kindergarten Stencils. Using stencils is a really good way to help the child's developing hand control. Otis started by using simple shape stencils (circle, square, triangle) and he moved on to more complex stencils of animals, vehicles and other shapes. Otis currently uses the Geometric Stencils and the Kindergarten Stencils. 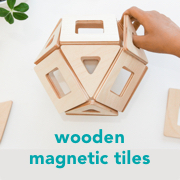 In the Montessori classroom children of this age are often using metal insets for developing hand control and for learning the movements required for writing. Otis has been using them for a while and often comes home with various metal inset work. For this reason I wouldn't have metal insets at home but I think it's really worthwhile to introduce stencils to the home art area or work shelves. We have presented our stencils with coloured pencils or just with a lead pencil - Otis loves the little Ikea pencils! We have also used paint with a brush, sponge or in a spray bottle with stencils too. I love to see those little hands in action!